I hope it comes with airbags because 2mph winds will knock it over. @DiSoNeGuY, where will you be, when it opens? @DocJr, there's gotta be a Jerry Sandusky joke in there somewhere. @Krycek, people were finally able to start moving forward with their lives, then they had to drag that gremlin back out of the closet because "his sentence wasn't fair." 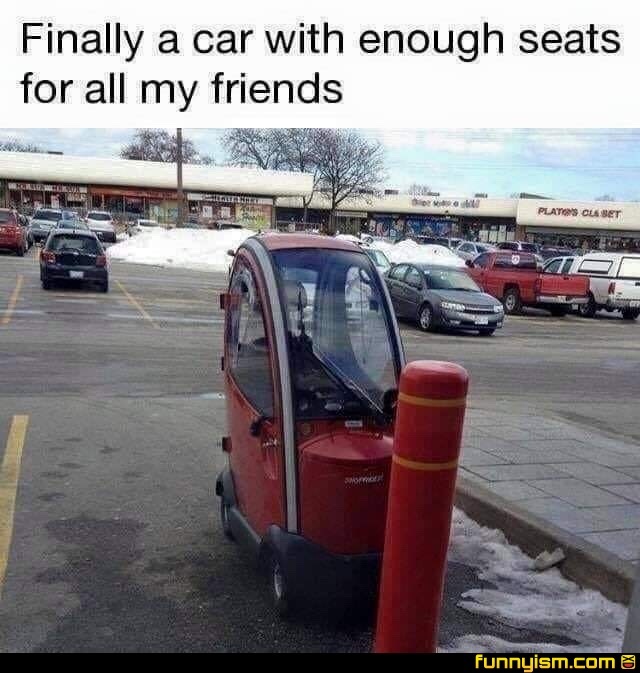 With one seat to spare. If guys with lifted trucks supposedly have small wieners, would this person have a magnum dong?